When do you need an Audio Converter? 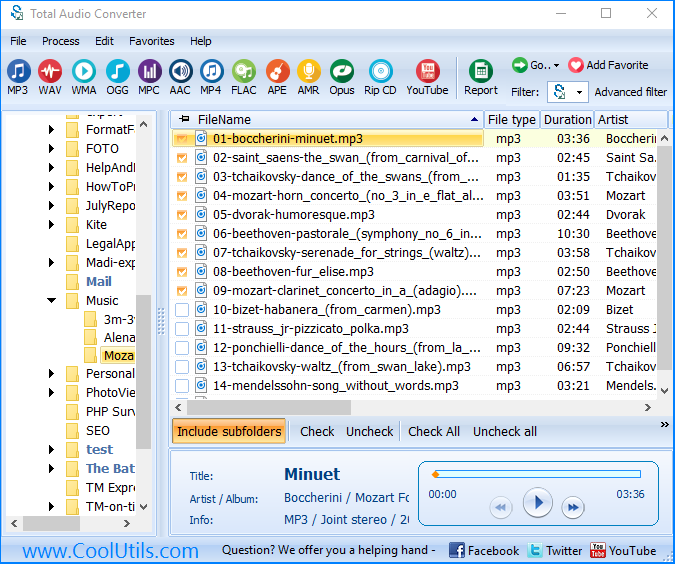 You are here: CoolUtils > Total Audio Converter > When do you need an Audio Converter? MP3 files would be excellent but for their size. Here comes AAC. It introduces new advanced ways of compressing audio wave data algorithms. It's advantage is that AAC files are of smaller size but of comparatively good quality (we are speaking about music for mobile phones. If you want to enjoy stereo and phasing effects and lots of pure waveforms, you'd better use flac or ogg). Just look: 128kbps mp3 = 96kbps AAC without little noticeable loss of quality, and the file will be 600kb ~ 750kb smaller in size. If you convert 192kbps MP3 to AAC the target file will be of 96kbps with tiny loss of sound quality, but HALF of the mp3 file size. Still there are people who like the sound of AAC files more than of mp3's and those who hate listening to AAC whatever small the files are. That's a matter of taste. But most often people convert MP3 to AAC as a happy medium that allows reasonable quality audio playback and the filesize small enough to allow room for more files on memory cards. A good tool for converting old MP3 to smaller AAC files to put on mobile phones is Total Audio Converter. 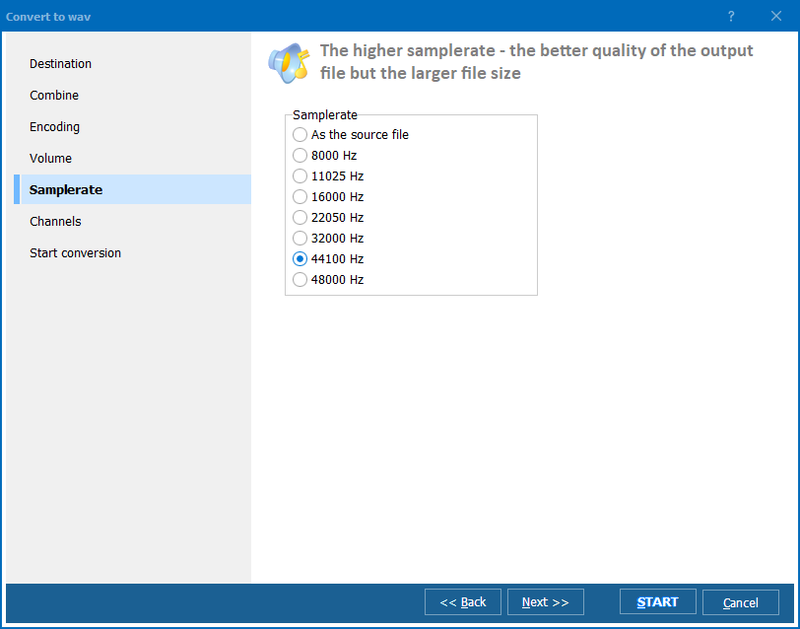 Now you can convert any song to another size, convert chanels (stereo to mono), change bitrate or frequancy most easily. It is the fastest and most affordable solution currently available on the market. 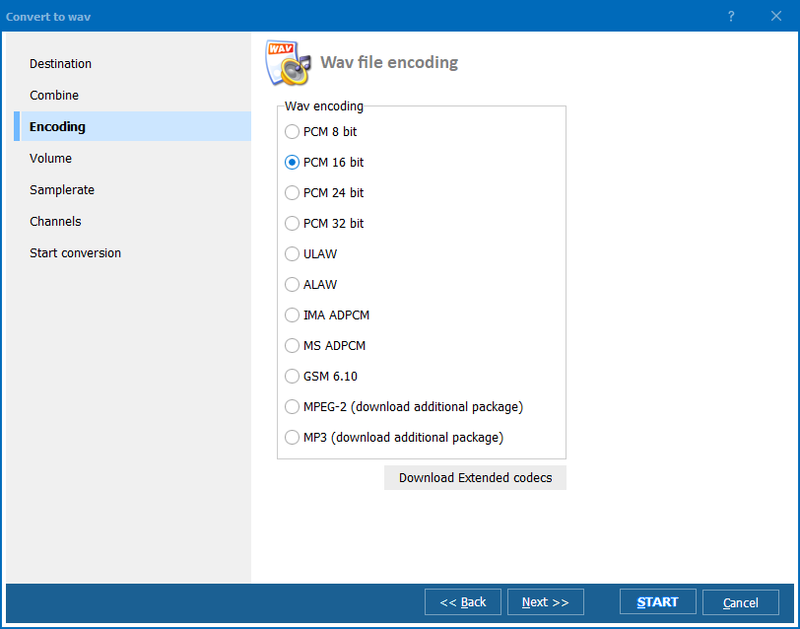 All formats of MP3, WAV, OGG, or WMA files that could not be supported by other converters Total Audio Converter is sure to recognize and support. The program supports ID3 Tags and converts MP3 to AAC on the fly, without creating intermediary files. High converting speed will not allow the process bore you. With Total Audio Converter you can easily convert MP3 to AAC in batches. Besides all this Total Audio Converter has a built-in player to play all audio files for you. Your opinion on Total Audio Converter? So far, so good. I got it primarily for the command line option so I could use in a batch conversion from mp3 to aac....nice and easy help on the command line options right from the program Help dropdown. Download was fine.